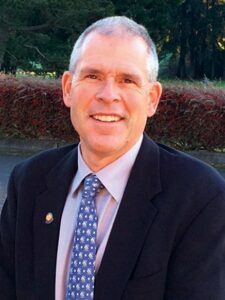 Doug Doxsie, PGA Head Professional at Seattle Golf Club has begun his service as the incoming District 14 Director. What’s that? Doug is working with our current District 14 Director, Don Rea, in preparation for his service on the PGA of America Board of Director in November. Most recently Doug attended an orientation in December at PGA Headquarters and just last month attended his first PGA of America Board Meeting in at the PGA Merchandise Show in Orlando. This onboarding process will provide Doug the essential background to be our voice in “Serving the Members and Growing the Game”. Doug has a long history of service to the Section, serving through the chairs of the Western Washington Chapter, on the Section Board of Directors and finally as Section President from 2003 – 2004. Doug will be an effective voice for you on the National Board of Directors when he begins his official three year term in November.